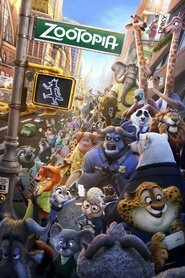 Living... grift to grift in Zootopia, the biggest city in a world where everyone’s an anthropomorphic mammal. Nick pulls cons with his buddy Finnick, but they go after the wrong mark when they try to trick new police officer Judy Hopps. Profession... con man turned detective. Nick teams up with Judy to help her with a missing person case. It’s not entirely his choice – he’s a suspect in the case and Judy says if he doesn’t help she’ll book him for tax evasion. But once the adventure is underway, Judy and Nick become fast friends. Interests… making a quick buck, cracking a good joke, and pulling a long con. Relationship Status... single. Nick’s true love is money. He’s passionate about concocting crazy schemes to get as much of it as he can in as little time as possible. Challenge... finding a missing otter and helping Judy discover why so many mammals have gone feral. The criminal conspiracy ends up being much more widespread and sinister than he bargained for. When he has the opportunity to slip out, will he abandon his new friend Judy or help her do what’s right? Personality... slick, cunning, and street-smart. You can’t be a successful con artist on the busy streets of Zootopia without those qualities, but unlike some of his peers, Nick has a heart. He teams up with Judy and helps her because it’s the right thing to do. He was stereotyped as a child just like she was, so he knows what she’s going through. He also knows everyone who’s anyone in the criminal underworld, so he’s a good ally in this fight. Nick Wilde's popularity ranking on CharacTour is #877 out of 5,000+ characters. See our top-ranked characters and read their profiles.